Atriums or wide open spaces sheltered with glass ceilings make up a big bulk of our installations. 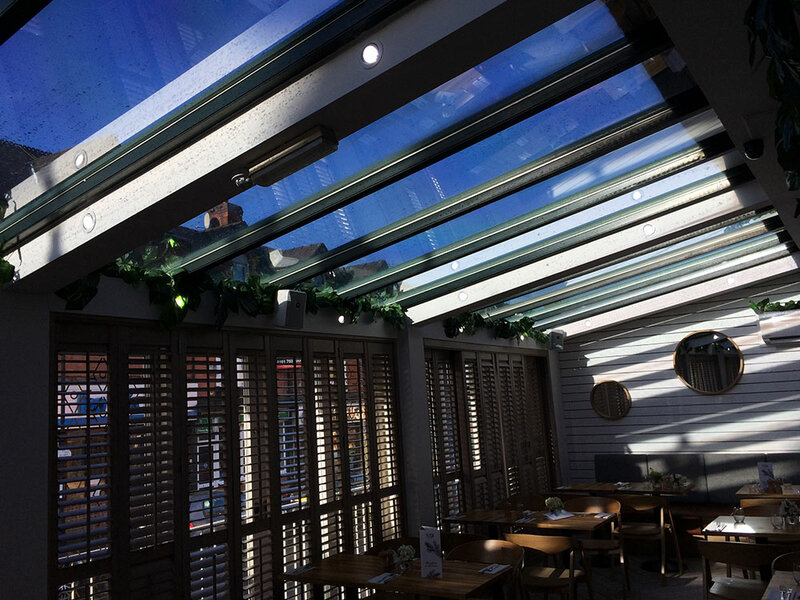 We have a range of window films that can completely alter the area, be it reducing glare or excess heat, adding privacy with our one way view mirrored films or window frosting or adding that extra level of safety with one of our security films. You can change spaces from an area too hot, bright or exposed to the public into your own private domain with the perfect climate. You will be surprised how much we can change an environment with our window Films and how little it actually costs to do so, with nearly all installs done within a single day. Every area is different and everyone wants different things from their spaces so feel free to call one of our friendly team to discuss what your needs are and we will recommend the perfect window film for your requirements. Interested in our glare window films? Get in touch with our team for a FREE quote on 0161 884 0572 or send us an enquiry online.